Getting involved in online dating has been one of the most exciting things I've done in a long, long time. Logging into my accounts only to find hundreds of emails from women dying to get my phone number, or spend some time talking offline ... well, it doesn't get any better than that. Not having to chase after a relationship, or go through the ridiculous process of 'wine and dine' only to find out that what you thought was the girl of your dreams turns out to be a hellish nightmare.. well, I don't know about you, but I'd prefer to skip all that. With online dating, you can weed through profiles, choose the people who you want to meet and ignore anyone who comes along that doesn't catch your eye. You can be as particular as you want, after all, it's your life you're willing to share right? So, you need to make sure that the people you are potentially hooking up with are exactly what they appear to be..
Online dating offers you an instant connection to the pulse of the singles marketplace. Rather than wasting time and money on dates that just don't go anywhere, you can get to know someone right from the comfort of your home, sparing yourself from awkward situations where you're dying to escape from the date but just don't know how to. And better, with online dating you avoid the humiliation of potential rejection. By spending time getting to know someone BEFORE you meet them, you're maximizing your chances that you'll truly connect with that special someone.. after all, you'll both have invested yourselves into the "getting to know you" process long before you actually meet. There's absolutely no better, easier, cheaper or faster way to find that perfect someone than with online dating..
You MUST Stand Out From The Crowd.. Slapping up a profile with some cute photo isn't going to cut it, not with thousands of other guys eager to swoon the same women that you're interested in. You need to take a drastically different approach to online dating than what 99.9 of the other guys are doing if you really want to successfully land as many dates as you can with high quality women..
With my simple, comprehensive (and foolproof) strategy, you will be able to design a high traffic profile that stands out from the crowded marketplace and drives in visitors in unstoppable waves.. You will be able to attract more attention in a shorter amount of time than the competition AND you'll attract the type of women you're interested in..
Never waste time or money again struggling to find that special someone before your next month's subscription fee is due.. Learn the secrets to landing as many dates as your schedule can handle - instantly! Discover how to create a shocking profile that will drive in traffic and leave women literally begging for your attention! These are the insider strategies to gaining more attention than even the muscle ripping jocks or the multi millionaire playboys! Find out what you need to avoid so that your online dating experience is the best it can be! You need to be careful of these common dating scams that prey on guys like you. Instantly save time and money by finding as many attractive women who are interested in pursuing a relationship without the head games! Don't spend a fortune on monthly dating subscriptions when you can follow my strategy to landing dates in record time! Give your social life an instant adrenaline shot! If it's been awhile since you've been successful in love, now is the time to turn it all around! 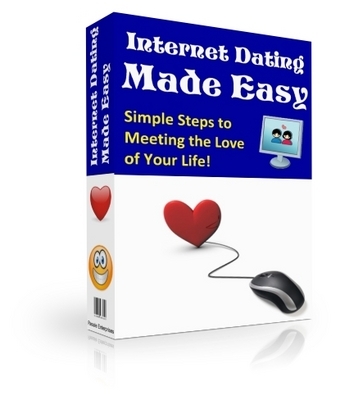 I'll show you exactly what you need to do to guarantee success in every online dating community you venture into! Avoid humiliating face to face meetings by planning out the perfect date following my simple strategy! Never set up yourself up for disappointment again!